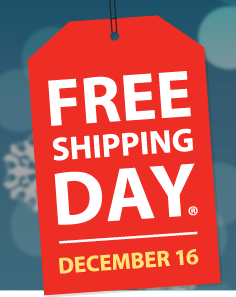 Today is Free Shipping Day! Over 1,100 retailers guarantee delivery by Christmas Eve and offer free shipping. Many retailers also offer additional discounts today, you can check out the list HERE. The website Deal News is also good for online deals.